Looking for deals in Madrid? Featuring a stunning terrace with views of Madrid's most emblematic buildings, Vincci The Mint presents a new kind of accommodations in Madrid. I have already stayed there for 8 times or smth I guess. Each time I go to Madrid I stay at Mint. Best value for money. I tried a lot of other places. But this one is a Pretty new hotel with excellent client service, prfect terrace with the view over the whole Madrid on the top floor. I also love their breakfast. Room Mate Oscar is a stylish hotel located in central Madrid, between Gran Via and the Chueca district. It offers free Wi-Fi, rooms with flat-screen TVs and a rooftop bar. The staff was very helpful. The breakfast was magnificent with lots of coffee. Hotel Artiem Madrid is located in Madrid’s commercial center, a 15-minute drive from Barajas Airport. Free WiFi is provided. Rooms are comfortable and spacious. Had a very pleasant stay. Super comfortable, clean, and spacious. Highly recommend. 7 Islas Hotel is located 656 feet from Madrid’s Gran Via. It offers free Wi-Fi, and elegant rooms feature a marble bathroom with amenities, air conditioning and some include a terrace. Huge room and great location. Reception staff were very nice and helpful. This design hotel is located in central Madrid, just off Ópera Square and 656 feet from the Royal Palace. It offers stylish rooms with avant-garde design, free Wi-Fi and satellite TV. The bed was so comfortable I didn't want to get up. Located in the heart of Madrid, this stylish hotel is near Real Madrid’s famous Bernabeu Stadium and the impressive Kio Towers. It has a modern spa and 24-hour room service. Great hotel, VIP level is highly recommended! Posada del León de Oro is located in Madrid’s La Latina district, 328 feet from Plaza Mayor and 656 feet from La Latina Metro Station. It offers free Wi-Fi. Perfect location. Helpful staff. Clean rooms with all amenities. Breakfast is average. Featuring free Wi-Fi, Ibis Budget Madrid Centro Las Ventas is located just under half a mile from Plaza de las Ventas and its bull ring. Location, friendly and helpful staff, good buffet breakfast the Coffee was very nice!! Set in a beautiful 18th-century building, Catalonia Las Cortes offers air-conditioned rooms and free WiFi. 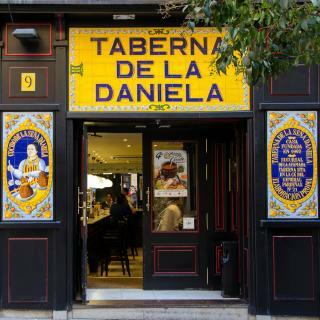 It is located in Madrid City Center, 10 minutes' walk from El Prado Museum. Our room was totally silent. No noise from outside or the corridor, or any kind of plumbing. Hotel Círculo Gran Vía, Autograph Collection, a Marriott luxury hotel - Adults only is set in the Gran Vía Casino and features a restaurant and a bar. Chueca is 1640 feet away. The hotel is brand new. The rooms and fitout of the whole place were beautiful. A 13-minute walk from Thyssen-Bornemisza Museum, Soho Boutique Congreso provides 4-star accommodations in the Madrid City Center district of Madrid. This 4-star hotel offers a 24-hour front desk. Excellent rooms, very clean, perfect location and great staff! Located on Madrid’s Gran Vía, next to Callao Metro Station and just 1640 feet from the Puerta del Sol, Hotel Atlántico offers air-conditioned rooms with free Wi-Fi. The boutique style of the property and room. How much is a hotel in Madrid for this weekend? The average price per night for a 3-star hotel in Madrid this weekend is $277 or, for a 4-star hotel, $311. Looking for something even fancier? 5-star hotels in Madrid for this weekend cost around $530 per night, on average (based on Booking.com prices). Which hotels are the best ones to stay at in Madrid? Catalonia Las Cortes, Hotel Artiem Madrid, and B&B Hotel Madrid Centro Puerta del Sol are some of the popular hotels in Madrid. Which hotels in Madrid offer an especially good breakfast? For hotels in Madrid that serve highly-rated breakfasts, try Hotel Artiem Madrid, NH Collection Madrid Eurobuilding, and Barceló Torre de Madrid. Which neighborhood is the best one to stay at in Madrid? 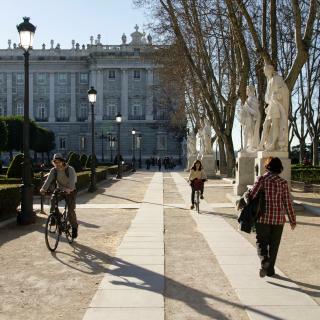 Madrid City Center, Arganzuela, and Retiro are popular with other travelers visiting Madrid. How much is a hotel in Madrid for tonight? On average, it costs $97 per night to book a 3-star hotel in Madrid for tonight. You'll pay around $139 if you choose to stay in a 4-star hotel tonight, while a 5-star hotel in Madrid will cost around $262, on average (based on Booking.com prices). What are the best hotels in Madrid near Adolfo Suarez Madrid-Barajas Airport? 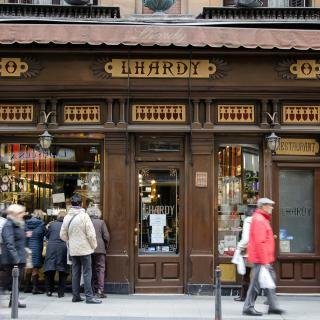 Travelers who stayed in Madrid near Adolfo Suarez Madrid-Barajas Airport (MAD) have said good things about Hotel Barajas Plaza, Hotel Don Luis, and Hotel Villa de Barajas. Which hotels in Madrid are good for families? Many families visiting Madrid loved staying at ICON Casona 1900 by Petit Palace, B&B Hotel Madrid Centro Puerta del Sol, and Hotel Atlántico. How much does it cost to stay in a hotel in Madrid? On average, 3-star hotels in Madrid cost $102 per night, and 4-star hotels in Madrid are $123 per night. If you're looking for something really special, a 5-star hotel in Madrid can be found for $240 per night, on average (based on Booking.com prices). Which hotels in Madrid are good for couples? These hotels in Madrid are highly rated by couples: CoolRooms Atocha, Gran Hotel Inglés, and Heritage Madrid Hotel. What are the best hotels in Madrid near Puerta del Sol? Some of the best hotels in Madrid near Puerta del Sol include Sungate ONE, Apartamentos Caballero de Gracia and APARTAMENTO FRIENDS-MADRID. Which hotels in Madrid have nice views? Heritage Madrid Hotel, NH Collection Madrid Eurobuilding, and Barceló Torre de Madrid got great room view-related reviews from travelers in Madrid. The modern Madrid is one of the greenest cities in Europe and the most popular destination in Spain. Whether you want to experience its legendary nightlife or a flamenco show, this is the place to be. The renowned Prado Museum holds one of the world’s finest art collections with iconic paintings by El Greco, Velázquez and Goya. 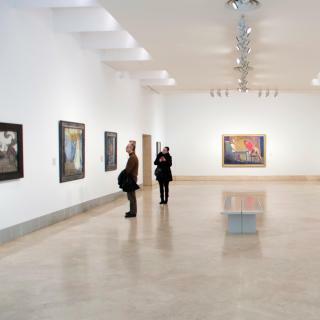 For a more modern touch, the Museo Reina Sofia houses works by Picasso and Dali. Start your evening at Puerta del Sol, one of the city’s busiest spots. 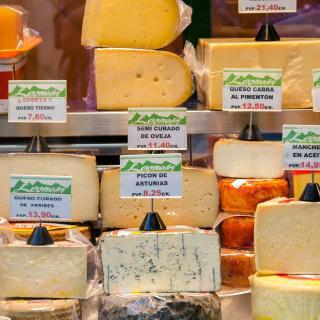 Make some room in your stomach for great tapas and sangria in La Latina district, south of the city’s most famous plaza, Plaza Mayor. Real Madrid plays at Santiago Bernabeu and Atlético Madrid competes at Vicente Calderón Stadium, two opportunities that no sports fan will want to miss. The popular Salamanca district is a great place to look for boutique gifts and unique shops. Thanks to great public transportation system, getting to the city center from Madrid Barajas International Airport is very easy. Whether you’re looking for luxury hotels, budget hostels or comfy apartments, Booking.com has a perfect place to stay for your Madrid holiday. We stayed at Hotel Puerta del Sol, a quirky little hotel that was absolutely perfect. It was on a pedestrian street just steps away from everything in el centro. The staff was young and knowledgeable, the accommodations were comfortable, clean and cool, with a balcony! Ok - we couldn’t see much from our angle, but it was a great place to sit and plan the next outing. Being next to the Puerta Del Sol, there was activity all night long, so it was a bit noisy. But if you are coming for the nightlife (and you should!) this is an excellent hotel for you. They have a breakfast room open 24 hours, where, even at 2am. you can’t a full breakfast, but you can get a coffee or some fruit. The hotel was a delightful surprise in a part of town that is fun and exciting for tourists and locals alike. All the gardens in Madrid are great. All the gardens in Madrid are great.The people in Spain LOVE to socialize till late at night, every night so if you need some sleep, check accommodation that doesn't open onto a busy square. It is worthwhile walking around Madrid because there is so much hidden stuff and everyone walks,it's great. We found the hop on hop off bus system very good, as it allows you to see the city from the top of the bus, with explanations of the history and buildings in various languages. And if you see something that interests you, you can get off the bus to spend some time there and then back on the bus at your convenience. The busses pass by every 15 minutes. 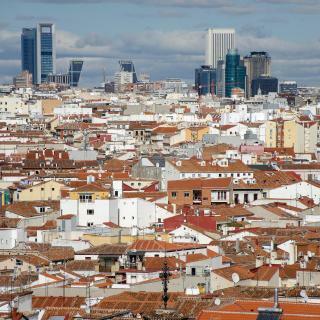 And from our hotel "Dear Hotel Madrid" we were able to easily walk into the shopping and sining district of the city. Use the Touristic Buss is a must and also take a walk over the Hotel is also nice. Weather was too hot at the time, but really nice to use as vacations, many places to visit, people very nice and food is also excellent. There are many restaurants surrounding the hotel. I was there with two friends and our stay in Madrid was wonderful. It's got great sites to visit, the food is wonderful and the locals are very friendly. Compared to the crazy big city feel of Barcelona 24/7, Madrid was more low key, the night life is near but far enough away from our hotel that we got to enjoy the fun but could get to sleep when we returned to our hotel. If yo get a chance to eat at Tandem please do. The food is wonderful and the staff is friendly. Best to make a reservation as it's a small place. A lovely hotel where I would definetly come back again. You can reach it easily from the airport and you have a direct bus line to the city center - a trip of only 25 -35 minutes if traffic. Super clean, a huge and confortable bed, spacious rooms and great staff. Not to mention the diverse breakfast and the lovely views from the rooms. It was totally worth the money and it's really affordable. We were sorry we did not book here more nights. We tried other 4* hotels in Madrid and this was by far the best! Don’t be fooled by the name - this “hostel” has all the features of a top hotel and more. This is the 4th place I have stayed on the Gran via and by far the best. The rooms are incredibly clean, views very special and if you’re like me and enjoy pitch black silence when you sleep, the automatic shutters do just that. Cute balcony’s overlooking the Main Street and a location which allows walkable Access to all the hot spots of Madrid. Staff were really friendly and made this trip to the city one to remember. We liked the big room, which was very clean and modern. Excellent location for the USA Embassy which was the purpose of our visit and 2 minutes walk from the metro, so great for getting to and from the airport. The breakfast was fantastic. Hot and cold choices, too much to chose from. 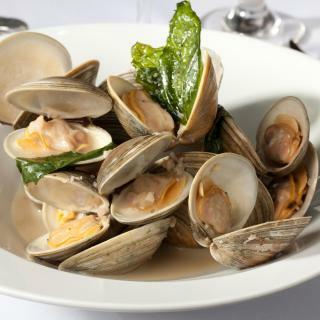 Lots of bars and restaurants close by and a short metro ride to the center of madrid for shopping and sightseeing. We would definitely stay here again. One of the best hotels we have ever stayed in. Very clean, quiet and comfy hotel in a great location surrounded by cafes and restaurants that are open until midnight. Reasonable walk to city centre and Madrid’s attractions including the S. Bernabéu stadium. There are at least 3 metro stations close by. The staff are very friendly and speak good English. The room and hotel have a lovely traditional style with Juliet balconies, soundproof walls and windows a very comfortable bed. Wow wow wow! The hotel is on the center of madrid , few meters from the primark&gran via metro . Best location ! The breakfast was very very tasty . The room is small but very comfort. The bed is the comfortest bed i ever sleep on. The staff was very Nice friendly proffesional and courteous. The wifi is very fast. The room was cleaned every day very well . Thanks a lot Petit Palace Cliper we enjoyed our trip thanks to you !!! I love this hotel for my final stay in Madrid before coming home! The staff is pleasant , helpful, and fluent in English. The hotel is quiet, clean and modern. There is a square close by ( 2-3 minutes of walking) with a variety of wonderful restaurants. Best of all the hotel has a nice large clean bus to take you to the airport at 30 minute intervals. I wouldn’t stay anywhere else when booking my final night(s) in Madrid. Close to metro stop, Alvarado which you can take into the city centre. Not too far from Neuvos Ministerios which is the line direct from the airport. Modern hotel. Great bar. Great, friendly bar staff. Was a great hotel for travelling as a couple, not so much if you had small children due to the steps at the entrance. Nice quiet location, close to a few restaurants and coffee shops and to the Bernabeu. I love everything about this hotel. The location is great, right in the city center and you can find a lot of restaurants around the hotel. If it's the first time for you to go to Madrid, you can book a shuttle from airport to hotel with cost €30 per trip, for max 3 people. The staff is great and helpful. The breakfast is alos great. Great value and great choice to stay in Madrid! Perfect for one night stay while using the airport. Shuttle to & from the airport is available. Must book shuttle by phone in advance or at hotel for shuttle to airport. Leaves hotel on the hour. I took the Metro into the City Centre. It was a 17-20 min. walk to the Metro plus a 30 -40 min. trip on the Metro to Gran Via. All do-able and worth the effort if you have the time. The primary reason to choose this hotel is basic on its location which is close to the airport ,and the complimentary shuttle bus takes you from or to the airport within 10 mns ride. Metro station El Capricho is 350m away, the hotel gets very easy access to Madrid's historic city center via L5 only. The basic room size is adequate and the room was very tidy and comfortable. Was the best hotel during my stay in spain. Real hotel with big room, big toilet, free shuttle service to airport. Very ideal for those who has flight to catch same time they want to see madrid in short time. To go downtown You can catch bus#146 just in the road back of hotel or walk 15 mins to suanzes metro station and take Tram#5. The hotel was warm but AC available in room. Excellent location for Atocha station and about a 30 minute, or short metro ride, to the city centre. It was perfect for our early morning train to Seville. Lovely rooftop bar. Great facilities with a little bakery and coffee bar on the ground floor. Great design hotel, with rooms that were very clean, modern and stylish. I would stay again if visiting Madrid. Excellent location. Right in between two metro station which connect straight to city centre. The rooms were clean and spacious. Great reception desk who provided help promptly where necessary. Hotel had modern feel to it. Hotel offered to keep luggage in hold until time of departure to airport. Overall stay was great! I would highly recommend and revisit. Enough space for 3 persons, Location in city centre, Very close to Metro station (Callao), Halal food opposite Primark mall, Attraction place (Gran Via & Sol), Shopping mall & branded shop in walking distance, Hotel replaced towel everyday, free flow mineral water (in bottle), Friendly & 24 hours receptionist. This was the best hotel we stayed at during a two week tour of Spain. Great location, walking distance to museums, good to great small restaurants in surrounding blocks, with a metro station at the other end of the block. Great place to chill out and walk the city for a couple of days. The location was ideal! The room and bed were fantastic. The staff, especially Lucia, were warm and welcoming! We will certainly stay here again and will be looking at this hotel chain for future stays in Spain!! Location, cleanliness, simplicity. It was my favorite hotel after being in 7 other hotels during my time in Spain. Near Airport and bus service pick up to hotel . Free breakfast with your stay! Clean, quiet and friendly staff.